1. 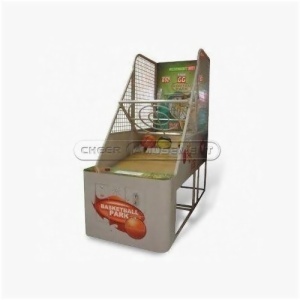 This one theme amusement machine for basketball park, is also a paragraph shooting machine, just slightly different model and other money, overall model is more compact. 2. The same for low energy consumption products for you to save more cost, mini size, make your resources to maximize. 3. On both sides of the fence to prevent basketball outside jumped out, the middle of the cross bar can prevent harm to children, safety performance is high. 4. The products with different color and theme for you to choose, you can choose the most satisfied products.